There's even a screenshot to boot! 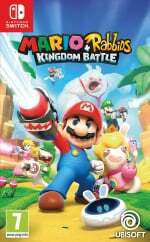 Ubisoft Milan creative director Davide Soliani has already earned a place in Nintendo Life's heart - mainly due to Mario + Rabbids Kingdom Battle being so good and because he's not afraid to cry in front of the entire world - but he's now booked himself a VIP seat in our affections following a recent Game Boy Advance-related revelation. 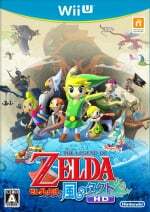 Turns out back in 2003, when Soliani was still working at Ubisoft Milan, the Italian developer approached Ubisoft internally with a pitch for a The Legend Of Zelda: The Wind Waker port for GBA. Yes, actual Wind Waker on that plucky old handheld. He even had Fabio Pagetti, an artist who was working with Soliani at the time, mock up the pixel art you see below to help sell the idea to the big cheeses at Ubi. Sadly, the demo never got the green light - which is crying shame because a Wind Waker port could have been something truly special - but at least his efforts weren't entirely in vain as years later he got the top job at Ubisoft Milan and went on to develop a much-loved Mario spin-off. What do you guys make of Soliani's tweet? Some of Link's most memorable adventures were handheld, so this could have been a-maze-ing. That would be awesome. Reminds me of the DS games. To me, it has a look very reminiscent of The Minish Cap. That would have been really cool though! He didn’t actually take this too Nintendo, just to his boss at Ubisoft. Still very cool nonetheless! I clicked on the story expecting the screenshot to look terrible, but actually it looks great. Is it an infamous Ubisoft bullshot? It looks almost too good. "No luck that time, but it was running nicely. We were dreamers." Bleh. For me, the term 'dreamer' is spoiled. My brain can never discern which definition somebody means when they utter 'dreamer'. This is very exotic. Would have loved to see how this turned out. Not a bad idea honestly. The Gamecube really struggled but the GBA was onfire. It might have found decent success there. Honestly, that would have been amazing. Looks fantastic. The GBA was left behind far too soon. RIP. 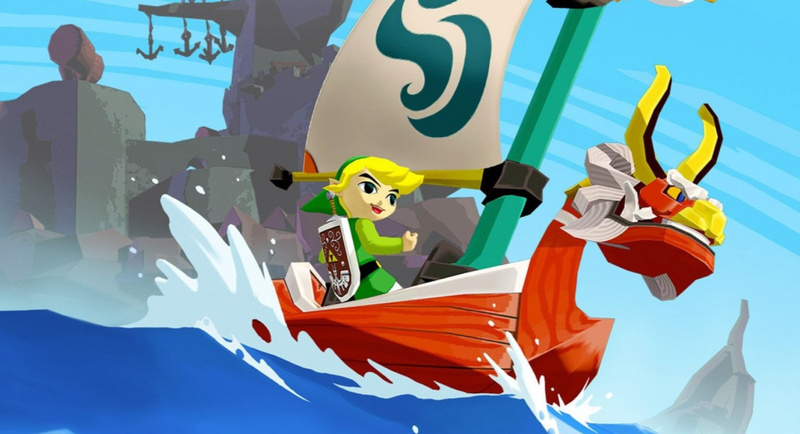 Now you have position to recreate the 2D Wind Waker on Switch!! Having recently played TWW for the first time, I wouldn't have said no to a decent GBA port! I adore the GBA, and have only recently learned many people apparently do/did not. But I don't even think "port" is the right word here. They would have had to completely rework the game to make it work on 3DS. If might have effectively had the same story, but everything would have had to be redesigned. I am extremely politically active. Soliani obviously has a sweet gig at Ubi... but he is the rare Westerner who would do GREAT working directly at Nintendo. He "gets" the company better than just about anyone. This is cool! I still hope we eventually get to play the NES Breath of the Wild Nintendo has previously shown. @ottospooky Didnt Capcom make the game? @Angelic_Lapras_King Yes, and the Oracle games too. I just love that man. Here’s hoping he continues to be a dreamer, anything he makes next is definitely on my radar. Honestly, I feel the grandiose feeling of teaversing the Great Sea would have been lost. The efforts should have gone towards a all new game in this style IMHO. Hmmmm it's a nice screenshot but a Ubisoft port of Wind Waker on GBA....... nah man that's sounds pretty herendous to me! No offence to the guy love the game he's has given us on Switch but that won't rose tint my glasses on this here. @DTFaux Yeah I think I better steer clear of this one. Gotta wonder why they're bringing that stuff up when it's completely unrelated to anything though. @Angelic_Lapras_King so they did! I always forget that they did. The Oracles games I always remember as being outsourced to them but not Minish Cap. I love the homage to the Zelda 1 dungeon in that game! Idunno...the mockup looks alright, but Minish Cap was fantastic, and Phantom Hourglass filled the "portable Wind Waker", so it would've been sitting in an awkward position. Would've been more sensible to make their own Zelda knockoff using a new IP. Man, between this and Slaps And Beans (look it up), the [goosebumps for the following words] Italian gaming industry is doing the unthinkable for me: actual pride for my country. It's a Christmas miracle of itself. Kinda makes me miss 2D Zelda a bit. The graphics remind me of the "Mario & Luigi" RPG series more then "Minish Cap." Don't know what to think about that, but the screenshot looks nice.